This is a contract through which an artist grants an organization or person the merchandising rights to an image or artwork belonging to the artist for use in specified types of merchandise. 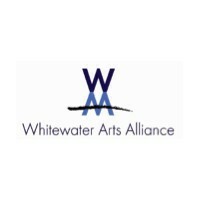 This Agreement is entered into on, between, hereinafter referred to as the "Grantee", located at Address, and, hereinafter referred to as the "Artist", located at Address. Whereas, the Artist hereby represents that he/she will create images or object throughout the course of his/her contract with Grantee that is his/her own original work of Art/Design and it is not made from copyrighted material/designs during the entire term of his/her Contact with Grantee. 3) The term of this contract is for Timeframe, commencing upon both parties signing this contract. 5) The Artist shall retain all copyrights in and to the image. The Grantee shall identify the Artist as the creator of the image on the licensed products and shall reproduce thereon, a copyright notice for the Artist which shall include the word "Copyright" or the symbol for copyright "©", the Artist's name. 7) The Grantee shall give to the Artist, at no cost to the Artist, Types of Merchandise of the licensed products, for the Artist's personal use. 9) The Grantee will sell the licensed products in; however, the Grantee will not be the Artist's agent or promoter. 13) This agreement shall be construed in accordance with the laws of the Province of State, except for copyright law, which shall be interpreted in accordance with national and international copyright law.